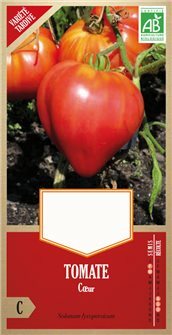 Tomato seeds. 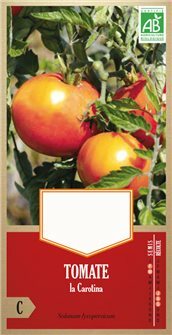 Organic tomato seeds, heirloom varieties. 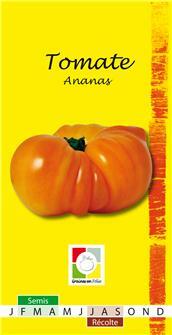 Andes tomato seeds, one of the best varieties in terms of productivity and taste. 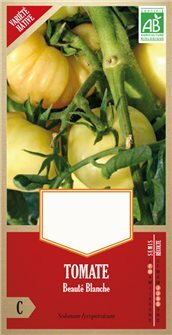 A rustic, early blooming variety that produces fruit weighing between 80 and 150 g.
Pineapple tomato seeds, a late bloomer producing fruit from 250 to 400 grammes. Its skin looks like a slice of pineapple. 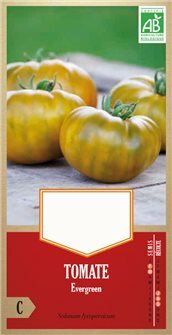 Queen of Sainte Marthe tomato seeds, a mid-season variety that is productive and gives fruit weighing from 150 to 250 g. Thick skinned, juicy, aromatic and great tasting. 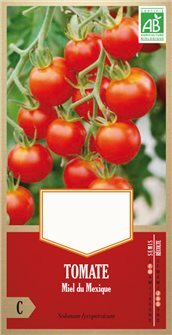 Packet of 0.15 g.
Berner Rose tomato seeds, a mid-season variety giving fruit that weighs from 120 to 180 g. An excellent tomato if picked when ripe. A delicate thin skinned fruit. 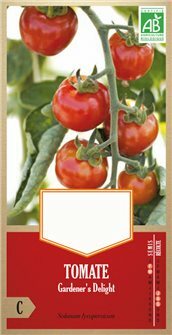 Cœur´ tomato seeds, a late variety that yields fruit weighing 300 to 400 g. Dense, juicy and sweet pulp that is not acidic and has a lovely scent. Very good taste. 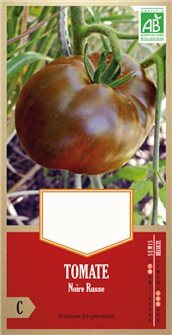 Packet weighing 0.15 g.
Black Russian tomato seeds, a mid-season variety that gives fruit weighing from 120 to 250 g. Its smooth skin changes from deep red to chocolate colour when ripe. 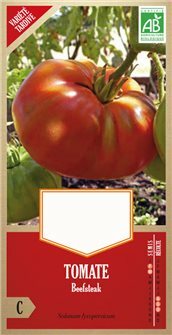 Beef tomato seeds, a late variety that bears fruit that weighs 200 to 700 grammes. 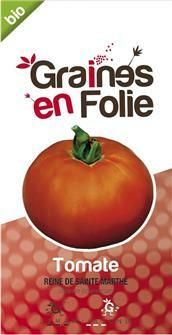 The pulp is firm and thick, sweet smelling and has a meat coloured appearance. 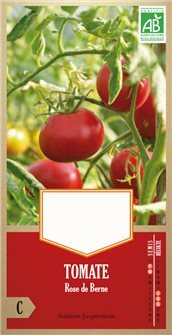 White beauty tomato seeds, a precocious, hardy and productive variety. 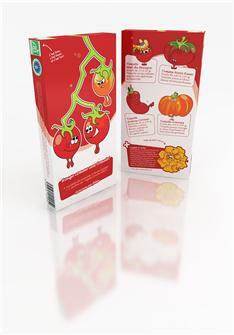 Fruit weighs between 100 and 250g. 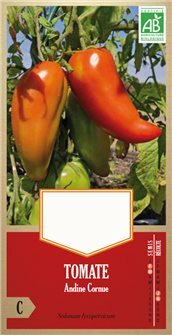 Firm juicy meat that is sweet and tastes excellent. Packet weighing 0.15 g.